Alappuzha is also known as Alleppey, Alappuzha is situated 28 km from Changanssery, 46 km from Kottayam and 53 from Kochi and 155 kilometers from north of Trivandrum. Alappuzha is surrounded by canals, backwaters, beaches, and lagoons; it was described as the “Venice of the East” by Lord Curzon. Hence, it is known as the “Venetian Capital” of Kerala. Alappuzha houseboat is an important tourist destination in India. The Backwaters of Alappuzha are the most popular tourist attraction in Kerala and it is famous for its house boat service in Alappulzha. The backwaters can be connected Kumarakom and Cochin to the North and Quilon to the South. The mullackal chirap is also one of the attractions of Alappuzha which is the festive season held for ten days every year in December. Snake boat races are the most significant traditional event in Alleppey. Chettikulangara Bharani is the most important festival in Alappuzha district. The festival is one among the important temple festivals of Kerala. alappuzha tour package, alappuzha houseboat is one of the best vacation for family and friends and also for honeymoon couples. Alappuzha Beach and Alappuzha house boat offering a view of the Laccadive Sea, Ambalappuzha Sri Krishna Temple, St. Andrew’s Basilica, Arthunkal, Mannarasala Temple, Chettikulangara Devi Temple, Haripad Sree Subrahmanya Swamy temple, Krishnapuram Palace, Thakazhy Sree Dharma Sastha Temple, Mullakkal Temple, Edathua Church and Alappuzha CSI Christ Church. Kuttanadu is an area of Alappuzha District, densely covered with waterways. Kuttanad is famous because of its paddy fields and it is also called as the rice bowl of Kerala. Kayal is a perfect blend of authentic local experiences and contemporary luxury. Offering an amazing view of the backwaters, kayal island retreat feat. Alappuzha House Boat service provides the services throughout the year. Houseboats in Alappuzha are huge and slow moving barges used for leisure trips. Alappuzha houseboat allows you to enjoy the natural beauty of Kerala, and the exotic beauty of the backwaters of Alappuzha. Kumarakom is a center for houseboat cruises. 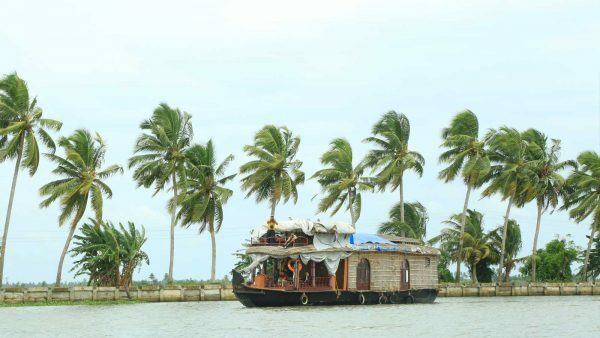 Traditionally, the houseboats were called Kettuvallams. The Alapulzha tour package will not end without the house boat staying at least one night. We offer houseboat service like deluxe, standard, honeymoon, family vacation, and so on. All our Alappuzha houseboats are fully equipped to make your stay on board safe and comfortable. Luxury houseboats with upper deck, conference room, bar etc. Luxury boats with bar, party area, living room, bedrooms with attached bathroom and more. If you are not wishing to stay in the houseboat tonight or you don’t have time to spend then you can choose some few hours trip in the house boat. You can choose two routes, first one is from Kumarakom to Aleppey and back, the second one is Kumarakom – Vembanadu Lake – Pathiramanal Island. During the normal season the house boat rate starts from 8500 per couple for one night. The rate slightly differs in the weekend and in Festival season. Alleppey is known to be a romantic paradise and most prominently called as a symbolic representation of Kerala’s black waters. The place is home to a huge network of waterways and abundant number of water boats. Located around the small yet populated chaotic center, Alleppey is stuffed with a modest grid of canals. With a calm and romantic network of Alappuzha Houseboats awaiting your arrival, the place is a good option to get away from the mini-mayhem of the city life. 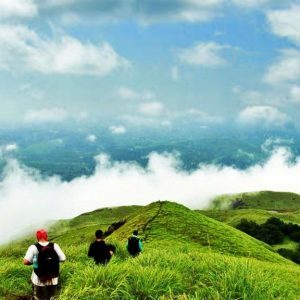 The Alappuzha Tour Package is scrumptious, greenery rich and filled with beautiful sceneries dissolving into a watery world of old villages from every direction. 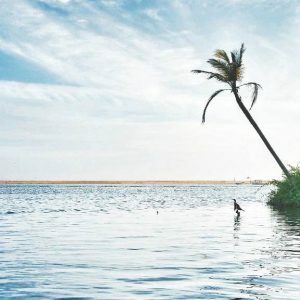 Other elements that make this place similar to paradise are toddy shops, punted canoes and house boats that are the embodiment of Kerela’s iconic black waters. So float along the peaceful waters and amaze your eyes gazing over paddy fields of curvaceous, succulent green rice barges. The welcoming villages along the banks serve as a cherry on the cake. Without any doubt, Alleppey is Kerala’s one of the most beautiful and relaxing experience. The people living around Alleppey backwaters used fresh water for every purpose and small boats to travel around. These boats were easy to row and carry. Nowadays, The Alappuzha Houseboat area is bigger and more comfortable boats are used as public transport and more as travel itinerary. The special house boats called Kettuvallams are now days used in the form of tourist cruises. These boats are traditional and usually bound with rope. These Alappuzha Houseboats are also called Shikaras that are used to travel from one shore to another through the tight gateway of cautiously made canals. While on the custom made cruise, you can experience the coir making which is a cottage industry is thriving on the banks of canals. Just hop off any point and you can easily get coir crafted articles. With different activities and excursions at one destination, tourists can easily spend hours on the black waters of Kerala. One can easily reach his destination on time without having to face any traffic or air pollution of the roadways. The cruise is like floating silently on a roller coaster to the heaven. It is a refuge from hectic city life, especially for ones who love to be in the lap of nature. While cruising in the houseboat, one cannot simply ignore the magnificence bestowed by swaying long trees of coconut with the contrasts of blue sky along with a flock of beautiful ducks floating on the water surface and the fish-eating birds picking out their beaks to catch fishes. While Alappuzha Tour Package And don’t forget to keep an eye on various water lilies and rare lotus, the national flower of India. After relaxing on the deck viewing all these miracles of the nature, one can get immersed in the deliciousness of Kerala gourmet. This generally includes seafood cooked by experienced chefs. Spend your evening by witnessing a sunset over blue waters in riotous colors. At night allow you to enter the imaginative world enlightened with moonlight. When exploring or awake at night amidst the silent waters of Allappey houseboat, you may encounter one or two fisherman half-asleep in his boat preparing for the right time to catch fish. Appreciate the simplicity and move ahead with more sights to witness. If you get lucky, you might find the rain dripping just like monsoon, which might transform your adventure into a wet yet a better one. Besides the beauty of water drops forming millions of ripples on the water surface, you can experience cool air, gray skies and lightning as well. If you are planning to reach Allappey, you may visit through air, road or train. The nearest airport is at Kochi which is located 100Km away. You can also take a ferry service to reach the airport from Cochin. When in Alleppey, the backwater stretches are accessible through inland waterways that serve as a better medium than a road through Alappuzha house boat. Other famous destinations include a Krishna temple of Ambalappuzha that is 15 km away from Alappuzha. The temple is a grand example of Kerala architecture. If you wish to spend night on a different, yet scenic place, Pathira-manual can serve as a perfect destination. The island is a bird sanctuary and it takes around 2 hours motor boat drive to reach. The bird sanctuary can also be covered on your way to Kollam. 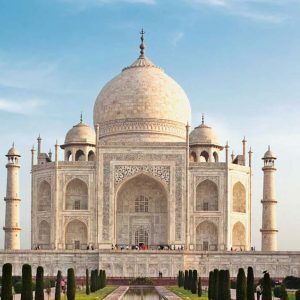 No matter, what destination you chose, each place holds its own charm in Allappey Tour Package. They are different in their own magnificence and have only one thing on in common–natural beauty.